Verdict: what can we say about the good old days? Well they certainly weren’t bad, they could entertain you and your friends for an evening, but it is not like we lost a monument to single malt whisky here. If it wasn’t for the hefty price tag, I would suggest to give the new Longmorn a chance and pick up an old bottle of 15 or 16yo if you still find it at an acceptable price. This is a good whisky, but not the great one some people say (at least to me). Your 84 is a reasonable rating, and I'd probably go 85, so we are basically in agreement there. I'm not sure it is 100% sherry barrels, as I get a bit of bourbon barrel accents, but could be 2nd fill sherry barrels. I had the 16 several years back, and found it also good (86ish), but totally different to the 15 and wayyyyy too expensive, so I never bought it again. Now they up the ante, price wise, and I'll never even look at their bottles. This whisky is overrated in my opinion. You don't see many reviews of it any longer, but I was fairly unimpressed by it; then again, I'm not a huge Speyside drinker. Nose: Floral and fruity overtones mix with mellow oak and some pleasant grain-driven esoterica. Mouth: Honey, nougat, toasted barley, English muffin toast, alcohol flair, pasture butter. Finish: Not terribly long, nor is it short. A kind of metallic tinge? New Orleans Beignet with extra powdered sugar. The oak comes through and catches the sweet overtones with a slight bitterness but it is not overpowering. The above metaphors seem agreeable enough. But does this whisky deserve to the be Number Ten on the Connosr Highest Rated List? Certainly not. It is smooth and creamy but not terribly exceptional in my book. The fact that Longmorn 15 is rated so highly today is a testament to the quality of old style locally sourced and locally managed whisky making as compared with the newer corporate style of whisky making. I miss the old days when Scottish people owned most of the distilleries in Scotland and multinationals did not call the shots like stock brokers tending their portfolios. @Conundrum, great review. It seems you and I gave this one the same score, and we're also the only two people on this site to have scored it under 90. I think there are a few reasons this has become such a legend. Old school charm. Being replaced by an older yet lesser whisky (how counter-intuitive!). Seeing the 15's minimalist bottle replaced by the 16's over-stylized pomp. Having the brand charge more for said lesser whisky. It's gone, so we suddenly all like it more (no?). The 15 was damn good. These are all solid points, and like you I think it's good. 88 is not a bad score at all. But personally speaking, I agree that this is not one of the 10 finest whiskies to be had. Aside from the bump up in age, I think this embodies many things that we don't like about the direction the industry is taking, so it's become kind of a poster-child. No offense intended to those that scored it higher. I'm sure a lot of people found this to be brilliant without any bias at all. A treasured position of mine, I was surprised at how much was left in the bottle. I wish I’d bought more before it was discontinued, although I’ve yet to try the 16 year old, put off by the consistently poor reviews (at least compared to this). The spirit is amber in colour and has a pleasing glass coating viscosity. The aromas are mainly sweet with toffee, molasses, vanilla with a sprinkling of cocoa and orange blossom, quite captivating. The viscosity is present in the syrupy mouth feel and there is a nice alcoholic attack from the idiosyncratic percentage. The flavour profile promised by the aroma is delivered in full with an added backbone of malt. The finish is surprisingly clean given the syrupiness before with development of some new spicy peppery notes, good and long. I should really open that bottle of the 16 year old on the shelf, it can’t be bad stuff if it's got any of the character of this most luxurious of malts. I try and characterise malts as to when and where they could be most usefully appreciated, but this one defies categorisation, aperitif, after diner, summer, winter or in a hip flask it would do equally good service. I'd go ahead and open the 16. I found it to be quite good, but it has little resemblance to the 15 (different casking?). I only had one bottle of the 16, though, as I thought it to expensive for the value. The different taste and higher costs are probably why most panned it, however, I've heard other year's bottlings were not as good, also. I still have two 2005 bottles of 15YO in my cabinet, and I think I'll open one up this year for its 10th/25th anniversary. This year will also be my 20th wedding anniversary, so that day would be appropriate for opening one. @Uisgebetha Don't you have heather? It was one of the better part of the 16 yo I had last year. I had a super hard time trying to locate this discontinued bottle from Longmorn. The 15 year old has been replaced by the 16 making this crowd favorite quite a serious collectible. I managed to get hold of one after reading some rave reviews pretty much every where and was waiting for some alone time to sample it. As it turned out Christmas was the day. There is precious little information on this Speysider (cask, etc) for some reason which makes me very curious to find out the type of cask used to craft this fine spirit. I know there's a mix of both bourbon and sherry but I would really like to know the type of sherry and the lengths of time in each wood. While the lack of information is frustrating the spirit is anything but. This is an example of good old fashioned skill showing off in the form of nicely controlled flavors. Nose: Brown chocolate. Coffee. Berries. Oak. Quite dry on the nose. Fennel. Aniseed. Hint of mint. Cherries. Black peppers. Raisins. Black licorice. Salt. Clove. Quite a bouquet. The sherry is on point without over powering. Palate: Honey. Salt. Chocolate. Peppers. Oak. Cinnamon. Oranges. Melon. Dates. Fruit cake. Christmas pudding. The palate points to a delicate Oloroso or PX influence some where in there. Finish: Medium. Oily. Oak. Cinnamon. Cardboard. This is a very tasty single malt. I can understand why it has legions of fans. And I feel by discontinuing it's production it has become even more coveted. One of the more assertive Speyside flavors you will find. Confuse the Longmorn 15 with the Longmorn 16 at your own peril. The 15 is in a different class altogether. The Sixteen year, while competent, lacks the sophistication and balance of its slightly younger sibling. Color: Rich amber in the bottle and lighter in the glass. Nose: Strawberries and cream, balsa wood, goatskin leather, alpine flowers, silky soft Dulce du Leche, toasted barley. Palate: Soft and delicate feel in the mouth, oily goodness. If poured from a newly opened bottle, give it some time to breathe. Redwood bark, caramel, Grape Nuts, a little metallic interplay from the copper still, creamery butter, marble rye toast, Speyside tingle in the nose (very mild), honey suckle. Finish: medium long. Copper lingers with sugars, cereal notes, and nectar. A hint of bitter oak at the end helps to reign in the sweeter notes agreeably and with panache. Final observations: Exquisitely executed and balanced scotch. No, it's not a magical mystery dram with an extremely complex taste bud experience, but it is absolutely delightful and restrained in the best possible way. Just as sheer power is not the "end all be all" of good scotch, neither is multivarious complexity. This scotch is pleasantly "old school" and would be quite at home next to a very good scotch sitting on the bar--way back in 1978, when your dad, the original hipster, could still make the young girls dream. Do you know where Bulgaria is? That's right, folks, it is in Southeastern Europe. A former communist country. A relatively poor one as well. The Great Powers' whipping boy of the past. Some say, an underdeveloped country. Maybe these folks are eventually right from their own high chairs. And do you know what one of the best parts of being born and living here is? That we are the last in Europe to experience the good stuff? Why is this good? Because, once something good is out of stock/production ceased in the West, there is a very good chance one can still find plenty of it here and not just in private collections, but sitting quietly on the shelves of some specialized shops and no one noticing it. Just like Longmorn 15 Year Old. 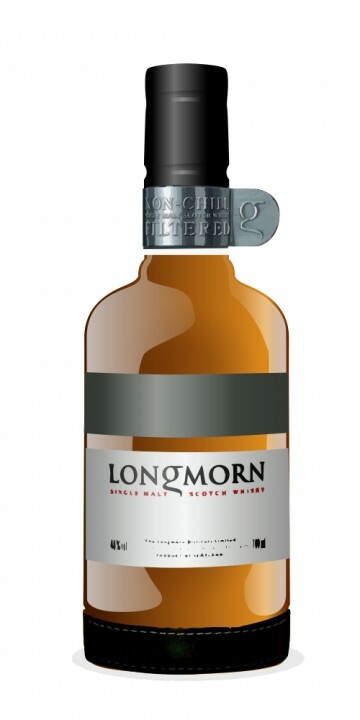 Longmorn 15 Year Old has been stopped off production some years ago and has been replaced with some abomination of a heir: the 16 Year Old, which is... let's say, a very prodigal son. It's incomparable to the good old 15 Year Old. I have ordered 3 bottles of the latter at €32 each three days ago. I have given away on of these to my colleague, who is also a connoisseur, even a fanatic of the good old single malts. These were the last three bottles in this shop, but maybe I could find some more. And I surely will. Why? Because it is simply divine. I love Speysiders, but this one is... Read on, my fellow "connosrs". Hard sherry nose with omnipresent brandy feeling to it. Strong licorice and burnt toffee. Dark chocolate and cocoa. Sweet tobacco, old leather. A hint of citrus fruit bunch. Is it Gucci Classic perfume the thing that I have put my nostrils above? No, it is not. And thank God, because this dram is way better. Almost no spirit kick to the nostrils. In summary: a very fulfilling nose. Close to my perfection benchmark. Maybe it is even proudly sitting on it. Time will tell. Palate: very complex, I dare to say: multidimensional. Sweet toffee and ripe morello, while the brandy feeling is still omnipresent, even glued to the inner cheek skin. Slight burn, that is threatening to deliver a lot on the finish. Some lemon juice, but sweetened with dark honey. Sweet roasted nuts. A hint of tangerine. White Eiswein. This body is thick and chewy. Not very smooth, which is the only palpable drawback for this one. But the taste is divine. It conquers all. I could compare it to other malts, even doctored, finished ones that I also quite like: Glenmorangie Quinta Ruban, Glenfarclas 105, but this competition they cannot win, not even hope to. The multidimensional feeling to this palate is humongous stuff, head and shoulders above everything else I've sipped. Finish: more morello and raisins from white grapes. Very slowly fading, wearing a lemon dress. A very palpable brandy feeling and warmth all the way. It is strong, very strong, but the burn is smooth and gentle. The curtains are falling, but slowly, gently and leaving you wanting nothing. Except another Glencairn, containing this potion. It's a God's gift. If you can lay your dirty, callous hands on a bottle of Longmorn 15, do not hesitate. It will melt your heart and leave you a better person. They do not make them like this anymore. Sadly. And the best part for me? That I have another bottle stored deeply. Some friends of mine asked me if I mind selling. But I cannot sell my heart. So I will just keep it. The selfish me! But I am just a man, not a God, right? @MaltActivist, I guess the price will only go up, as the stocks run out, so I'd say that for 99GBP today this dram is still cheaper than it will be tommorrow. I cannot tell if I would give a 99 GBP though, because we do not live in the same country/may have a different lifestyle each. Now, since you haven't tried the Longmorn 15 YO and may have a different taste, you may want to lower your top dollar, derived using the above equation (if it makes sense to you! ), down by some 20% just to cover for the risks, stated above. If thus put the whole operation makes sense to you - do not hesitate. I do not think you'll be sorry for that. And if you decide buy it and try it, I'm begging you to drop me a line or tag me, when you issue the review (I have read many of yours here), so I could read your thoughts on this favorite little unfashionable dram, that is no longer, alas, produced. I hope you are not disappointed! Cheers! broadwayblue, thank you for the comment. In short, yes, sir, this one, along with some of the Kavalans, are the best single malts, according to my taste buds/nostrils/experience. In order to put it into perspective, I have tried quite a lot of malts, although not over 1000, as some fellow connosrs have (you, lucky ones!). For further understanding of my position, you should know that I adore brandy/cognacs, as well as the good sip of bourbon/rye. This might give you an insight, as per to why I rate this Longmorn 15 so high and why I'm that exalted about it. Because it: a/ is the best whisky I have tried; b/ is so good to my own taste, that has been formed by another drinks I have liked very much through all these 37 years. I personally do not rate the Islays/heavily peated ones as much as I rate the Speysiders/Highlanders. But tastes change. I will maybe like peats much more in 10 years. But even if I do, I will still rate THIS Longmorn 15 THAT high. Because divinity is universal. And this is why I have given such a high mark. I have not tried the 20 Year Old expression, but I will do so, no question about that, and I hope it comes at least close or, why not - even better than Longmorn 15. Rigmorole: good for you, mate! Keep'em close to the heart or share some of them with friends when that special moment arrives. The Longmorn 15 has something of a cult following ever since the distillery did away with their 15 year old in favour of a 16 year old. I’ve never tried the 16 yo, but I’m told by more than a few people that it’s a lesser whisky. Now the 15 is already phased out completely, so it’s only through good luck that my friend happened upon a bottle of 15 yo selling for about $50 CAD at a small mom and pop shop. I imagine the owners were selling the bottle at the original price it held when they first got it in, and didn’t know that this has since become an absolute treasure for collectors. When my friend tried it, he absolutely loved it. I was quite curious myself, so he kindly offered me a 100 ml sample to try. Here are my notes. Nose: Grassy and malty. Lovely crisp fruit notes, mostly apples, pears, and citrus. There are also floral notes, toffee, vanilla and honey. If neat, you’ll find more toffee and orange notes. Not overly complex, but pleasant and inviting. Palate: This is a creamy whisky. Citrus and lemongrass greet us first. Crème brulée, ginger, violet, lavender, nuts, cinnamon, sherry, licorice, white wine vinegar, marzipan, and a picnic basket full of red apples. Sweet and floral with some big, tingly wood spices worked in. This is good. With some classic Speyside flavours and very pleasant grass and floral notes, this is initially very approachable. The grassiness in particular is quite unique. But this whisky isn’t without edge. There are big spices here and a certain astringency that may not be to everyone’s liking. It’s a standard Speysider with a few extra quirks. Best without water, in my opinion. This was a fun one to try. Grab it if you see it. @Pandemonium: I'm curious about that myself. I'd imagine given the almost unanimous preference for the 15 that the difference is in the production. Having only tasted the 15, I can attest to the fact that the wood notes are very distinctive. Maybe the quality of the casks changed? That's just speculation. Of course we connoisseurs are a fickle bunch, aren't we? As soon as something old gets replaced with something new we're always throwing hissy fits. If/When I try the 16 I'll be sure to include a comparison in my review. The whole 15yo vs 16yo story is quite odd, haven't tried the 15yo yet, but I cannot understand why leaving a malt to mature for one more year in its cask would fundamentally change the flavour and make it inferior to its younger brother. The 16yo has a higher alcohol percentage, so they probably did not change the flavour by diluting the whisky too much. So changes in the distillation process, change in quality of the ingredients or the barrels? Or is it just bias from the connoisseurs? I want to start this review by saying that this whisky rates number 1 in my collection of well over 150 whiskies. It also rates number 1 in our whisky club amongst members. It is truly a spectacular whisky. This speysider is a ‘dearly departed whisky’, no longer made and replaced by the 16 year old. However, you can still get it at auction and specialist whisky shops if you hunt for it and I encourage you to do so! Palate Smooth and sweet , clean, soft fruits, slightly drying. I cannot over stress how good this whisky is. If you haven't tried this before I promise you it will have a profound affect on your appreciation of whisky. I am buying and storing as many as I can get my hands on while old stocks hold out and am constantly asked to provide bottles to others (I am fully licensed). Replaced by the 16 year old with its 'showy' bottle and packing for the foreign market, the 15 year old is a truly spectacular single malt, get it above the 16 year old every time.Track a bottle down, and then find as many as you can! The Longmorn 15 year old - RIP - (lets hope I have enough bottles to last my lifetime).